TORONTO (May 6, 2010) – The National Hockey League Players’ Association (NHLPA) announced today that Sidney Crosby of the Pittsburgh Penguins, Alexander Ovechkin of the Washington Capitals and Henrik Sedin of the Vancouver Canucks have been selected as finalists for the 2009-10 Ted Lindsay Award. The Ted Lindsay Award will be presented annually to the “Most Outstanding Player” in the NHL, as voted by fellow members of the NHLPA. On April 29, 2010, the Ted Lindsay Award was introduced, and it remains the only award voted on by the players themselves, carrying on the tradition established by the Lester B. Pearson Award. The Award honours Ted Lindsay, an All-Star forward known for his skill, tenacity, leadership and his role in establishing the original Players' Association. Sidney Crosby, of Cole Harbour, Nova Scotia, Canada, appeared in 81 games for the Pittsburgh Penguins in 2009-10, finishing second in the league in points (109), while his career-high 51 goals tied him with Tampa Bay’s Steven Stamkos for the “Rocket” Richard Trophy. In just his fifth NHL season, the 22-year-old has proven himself to be a bona-fide superstar, having already won the NHLPA’s “Most Outstanding Player” award (2006-07), the Hart Trophy (2006-07), the Art Ross Trophy (2006-07) and led his club to the 2008-09 Stanley Cup. Crosby is looking to cap off a brilliant season that also saw him score the Olympic gold-medal winning goal for Canada. Alexander Ovechkin, of Moscow, Russia, appeared in 72 games for the Washington Capitals in 2009-10, finishing amongst the top-three players in the league in points (109) and goals (50). This is the third straight season that Ovechkin has reached the 100-point plateau and tallied more than 50 goals – reaching the 50-goal plateau for the fourth time in his five-year career. The two-time defending recipient of both the NHLPA’s “Most Outstanding Player” award and the Hart Trophy, Ovechkin led the Capitals to their third-consecutive Southeast Division title in 2009-10, as well as the first Presidents’ Trophy in franchise history. Should Ovechkin be selected, he would join Guy Lafleur and Wayne Gretzky as the only players to win the award in three consecutive seasons. Henrik Sedin, of Ornskoldsvik, Sweden, appeared in all 82 games for the Vancouver Canucks in 2009-10, winning the Art Ross Trophy with a league-high 112 points (29 goals, 83 assists). Playing every game of the season for the fifth consecutive year, Henrik far surpassed the 82 points he registered in 2008-09, establishing a new career-high in points. Henrik also set three different Canucks franchise records in 2009-10: passing Trevor Linden for the club’s all-time assists lead; eclipsing Pavel Bure’s single-season points record; and besting the Canucks single-season assists record, breaking the previous record he set in 2006-07. The NHLPA also launched the 2009-10 Ted Lindsay Award Contest today on www.nhlpa.com. Fans are encouraged to select the Ted Lindsay Award recipient, just like the players do. A random draw will take place June 24, 2010, following the 2010 NHL Awards in Las Vegas NV, to determine the Grand Prize winner, as well as the second and third-place finishers. To honour the history of the “Most Outstanding Player” Award, an NHLPA Goals & Dreams equipment donation will also be made in Lester B. Pearson’s name to a Canadian youth hockey organization, which will be selected together with members of the Pearson family. Launched in November 1999, NHLPA Goals & Dreams was created as a way for the players to give back to the game they love, and has donated more than $18-million worldwide to grassroots hockey programs. 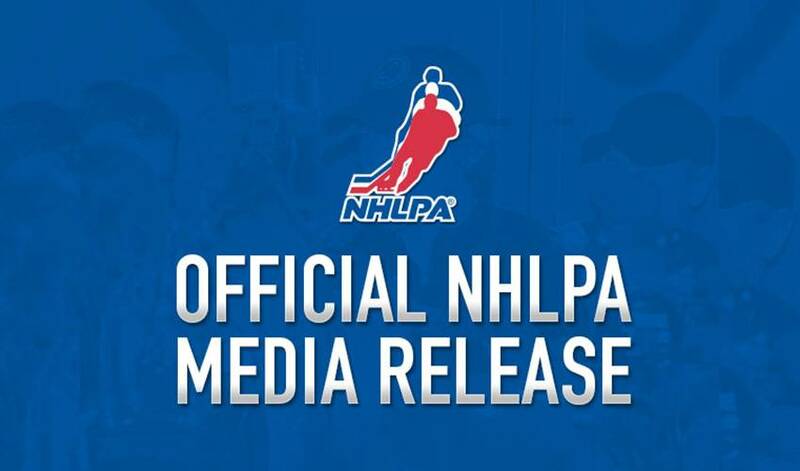 Fans and media are encouraged to visit www.nhlpa.com for further background information on the Ted Lindsay Award, media materials, in-depth finalist profiles and contest information.